I am interested in hiring a developer from Codebox. Project Name : Hours required per week : Full time / Part Time : I look forward to your response in taking this project forward. I needed to develop a web application in PHP so I asked the team at Codebox to help me. Their service was timely, affordable and best of all communication was very easy. I would recommend them for any of your coding needs. Cheers !! Our idea - their implementation, we have got what we exactly wanted ! When you are building an online business you are depending on technologies. Technologies that only the right developers can master. Codebox is the team to go, they know what they are doing and they have the in-house experience. Thanks for the great collaboration and my lovely time in Mumbai. Codebox has been a great addition to our development resources. They are able to take a rough brief and begin working on a project with minimal delay. We have worked on various PHP & HTML projects, both with Codeigniter and without - and always Codebox is able to deliver well-structured code in a timely manner. We're looking forward to a long term relationship with Codebox and many more projects to come. No one has said it quite loudly yet, let me express my self: Codebox is awesome! I haven't experienced a better response time than this anywhere with their level of detailing and precision combined. They adapted quickly to my Company's business model and gave me what I precisely needed. I am very happy with what I have got and once again I would say, they are awesome, try them ! Codebox has provided the resources to rapidly expand our business without sacrificing our focus on quality. Volume and cost reduction are important, but without quality we can’t stay in business Codebox understands that. Codebox has been an excellent strategic product development partner to Exuro Marketing. Within the first year of our relationship, Codebox has been able to reduce our cost of software development by 25%, while also decreasing defect injections by 60%. We were outsourcing some PHP5 projects to Codebox in 2011 and got very positive experience, highly recommend to work with them if you need an attentive and responsive software development partner. Team Codebox are very professional and delivered what I was looking for: An inventory management system with multi-level user permission system which is currently used on a very large scale. Their communication was very punctual and in this market they are very affordable. They showed that distance is not a barrier, even for a long term project, when you have good communication skills and show attention to detail. I have had a pleasant experience working with Codebox over the last 2 years on various projects. When it comes to quality of work, staying within budget and ability to hit deadlines, Codebox is on the top of the charts. It is a reliable outsourcing partner with an in-house development feel which has satiated our need to the fullest. Thanks to the work of Codebox we’ve been able to offer our players and agents an online service that is unmatched by any other website or competitor. This competitive advantage has enabled our business to grow, which is not only important for our stake holders but important for our clients and visitors. Without Codebox, we would not have been able to achieve this as their development solutions, skills and flexibility have meant that we could complete the development of our site in short amount of time. Codebox stands tall in a tough competitive cut-throat market. Codebox represents a safe pair of hands for new as well as experienced clients and for them the domain doesn't matter. Not the ones who will over-sell or under-deliver. Attention to detail, on-time delivery, precision and personal touch, are some of the key points which is instilled in their staff which exceeded my expectations. My entire manufacturing industry runs on the CRM / ERP, Dashboard management software built by Codebox. Codebox has provided excellent software development services to Jamasea LLC on projects spanning over a couple of years. During my association, I have been impressed by, both, their strong technical skills and by their solid business judgment and therefore I am pleased to strongly endorse and recommend them. Codebox was able to bring my idea into reality. Launching my new site with the help of Codebox was simple and easy. Codebox team were always available and very responsive. They always patiently answered my questions and communicated well. I highly recommend them to everyone! I am really happy about what we have achieved from Codebox in the last two years. It has been an enjoyable journey for my company, 'VroomVroomVroom' and collaboration with them. They are moderately affordable worth every dollar. I haven't found a better value developing team. I hope to continue to work with them in the future..
Richard Eastes, Vroom Vroom ..
Codebox were able to help us complete our Reportable App for iPad. At all times we received good communication, service and excellent work. On completion of Reportable App they also developed additional functionality on our website. We look forward to working with Codebox again with our internal projects. Mobile phones have revolutionized the way modern businesses & professionals wish to live their life and envision their work. With the world going mobile and the advent of innovative and state-of-the-art applications, this device is seen as a potential platform for business growth and success rather than acting as a mere telecommunication feature. The swiftly rising use of interactive mobile apps has lead to a simultaneously increase in the demand for mobile app development for various smart phones like iPhones, androids, blackberry, iPads, Symbian etc. Codebox is an expertise service provider of mobile application development that has proved its excellence by delivering cutting-edge and exceptional applications for mobile devices. Our expertise software professionals and mobile application developers have successfully served a wide range of industry verticals including insurance, health-care, media, etc. We’ve been building mobile apps since the inception of the Apple AppStore coding for iOS and Android. iPhones are the current flavor of the mobile arena due to its comprehensive range of latest technological features coupled with innovative aspects. Our speciality lies in offering cost-effective and customized iPhone application development services with superior quality standards and interactive measures suiting varied business verticals. We are extremely dedicated in what we do and very passionate about this niche industry. 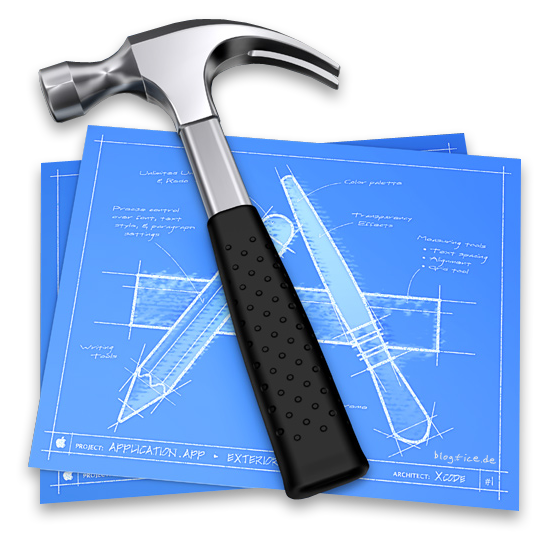 We have a detailed understanding of the Apple platform and the various components involved including the iPhone SDK, Cocoa Touch / Objective C, Xcode IDE, Interface Builder. 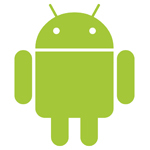 Android is one of the most successful mobile applications widely used by smartphones and tablets. This fabulous mobile platform is greatly preferred due to its artistic and innovative designs, greater degree of compatibility with other networks and capable for changing applications allied to games. We offer creative and stylish android application ranging from simple to complex ones at affordable prices. Backed with expert team of mobile application developers and experience in delivering state-of-the-art services to distinct industrial arenas, Codebox has emerged as an apt choice for cross platform mobile application development. We have crafted unique identity in delivering economical and efficient mobile applications for iOS and Android.